For the second year in a row, Austin has been ranked the number one place to live in the United States. This trendy Texas city continues to receive interest from the tech industry which has led to a strong job market and high desirability as a place to live and visit. Aside from the job opportunities, residents and travelers are attracted to Austin for its eclectic arts and music scene, which are highlighted annually by festivals like Austin City Limits and South by Southwest. I got to travel to Austin with Fairmont Hotels and here’s what I discovered. If you’re looking to engage with Austin’s famed music scene and indulge in its celebrated cuisine and diverse artistic lifestyle, this is the place to stay. This 37-story luxury hotel features over a thousand beautiful guest rooms and suites with picturesque views of the city, exquisite dining, and a pampering full-service spa. I don’t often get room service but with offerings like the ones at Fairmont Austin, I just had to. My three favorite items were the pizza, the fried chicken and the panna cotta with fresh strawberry sauce. The 7th floor terrace features an elegant, seasonally heated pool with lounging chairs right in the water and over a dozen cabanas. A testament of the ease in which Fairmont Austin delivers resort-style amenities within a sophisticated city center hotel. Fairmont Austin houses an impressive luxury spa with nine treatment rooms (including two couple’s massage rooms), jacuzzi, steam room, sauna, yoga/aerobics, dedicated relaxation room, full-service salon and a state-of-the-art fitness center. This modern grill house is dedicated to open-fire cooking and was named one of Austin’s 25 Most Anticipated Restaurant Openings of 2018 by Zagat. And with very good reason. The restaurant’s standout dishes include house-baked sourdough with avocado butter, wagyu rib cap with crispy potato, roasted shallot, and picked cherries, and a carrot cake that will erase any doubts you’ve ever had about vegetables in desserts. Barbecue isn’t just a food group. It’s an experience. And the single best overall BBQ experience in Austin (which isn’t actually in Austin) is The Salt Lick. The food is heavenly. A good choice for a first visit is the combination plate which includes sausage, sliced beef and pork ribs. Oh, and make sure to plan a pit stop to fill your cooler with beers - in true communal Texas style, The Salt Lick is BYOB. 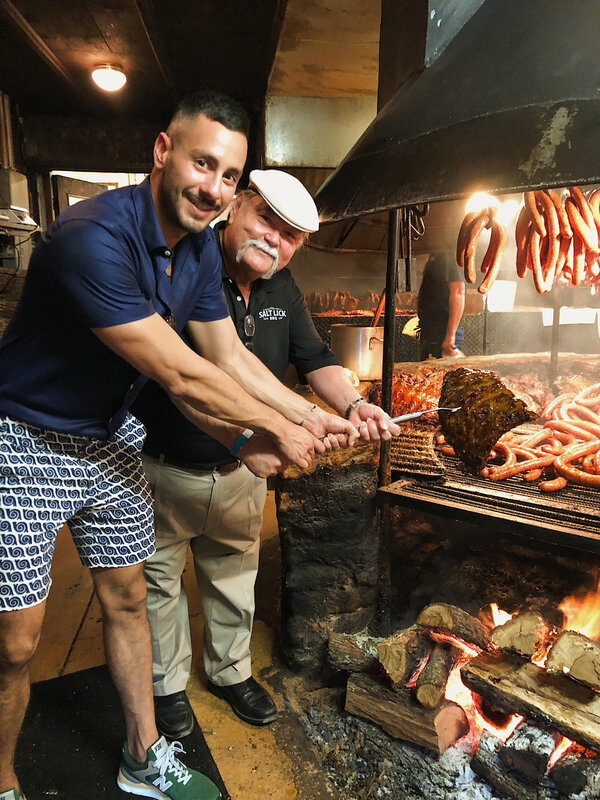 World-renowned barbecue with a side of Texas Hill Country hospitality. It doesn’t get better than that. America's number one city is also steeped in history and buzzing with college life. The music scene, vibrant culture, and pleasant weather don’t hurt its standings, either. Austin is ideal for those looking to sit back and take in the sounds of the scene. This hands-on tour will have you smelling the sweet Panhandle white corn, tasting the sugary sweet mash, drinking the bitter distiller’s beer and sampling the coveted and alarmingly high-proof white dog right from the stills. You also get to be a part of the packaging process. The distillery is closed on Mondays, Tuesdays and some holidays so be sure to check their website for availability. Named the “Live Music Capital of the World”, Austin has a plethora of music venues and local bands to entertain endless crowds. Broken Spoke is one of the last true Texas dancehalls. It has been around since 1964 and it’s a good ol’ time. This long-running concert series takes place two weekends out of the year and features artists from every musical genre. ACL was initially created to shine a spotlight on original Texas music, but it has since expanded its boundaries to encompass a wide range of styles and artists. 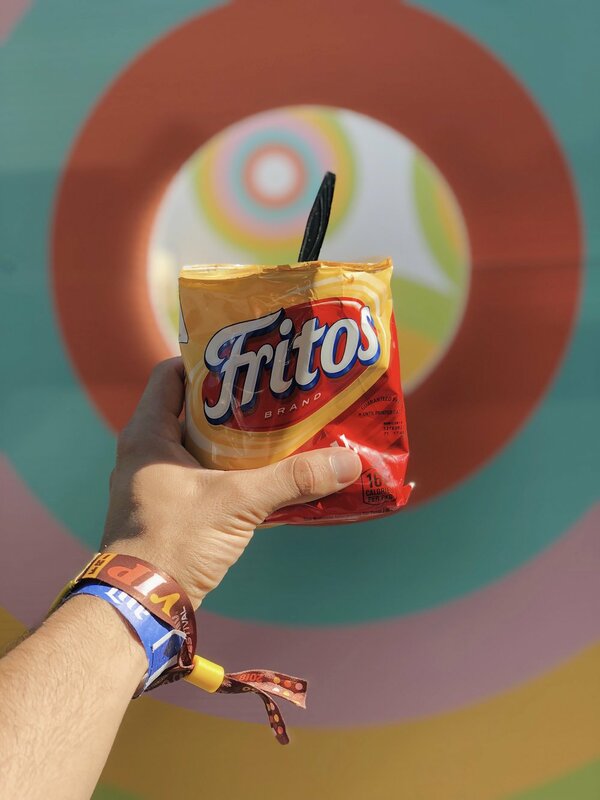 During your visit to Austin, do yourself a favor and treat yourself to a Frito Pie. Frito pie is a dish popular in the South and the Midwest made of three basic ingredients: chili, cheese, and corn chips. Additions can include salsa, refried beans, sour cream, onion, rice, or jalapeños. There are many variations and trust me, they’re all good.